Audi doesn't disaggregate it's sales figures among the A7 model line. How many RS7s do you reckon they have sold, and how many are in the USA? I'd guess the annualized sales volume of RS7s in the USA to be 200-400 units but it's only speculation. Anyone have a clue? Mine is scheduled to arrive at the dealership the week of 3/24. I'm beyond excited. It seems to be a real hit in the States. I'm from the UK and theres only two I can find in the whole country. Mine arrives late April. Like you, I'm real excited. Mine just hit the dealer today. Pick it up Monday. Beautiful! Is that Panther Black? Mine should be in by April 10th but I am starting to see online car sites list a lot more of them. At first they were all order cars that have to be listed by the dealer even if sold. Now the total on Cars.Com is at 57 (as of yesterday) and there a lot on the ground un sold. Im excited that I will NOT have the air suspension LOL. 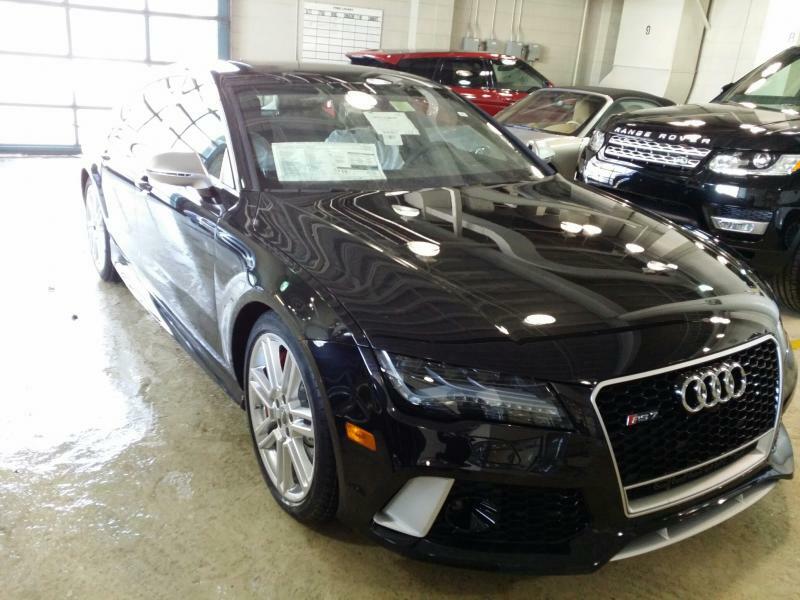 was told by military sales dealers in Germany as well as two stateside that Audi of America only got 300 RS7s for 2014....I picked mine up last friday!!! Panther Black and it is amazing. Picked it up today and it is beyond fantastic to drive. Fastest car I have ever driven. Pulled out of the dealer lot and a 2013 vette blasted by and we met at the light. Put the RS7 into dynamic mode...revved it and the sound visibly shocked the vette driver. I only hit the gas 3/4 and he smoked his tires and it was over in 1 second. by the 3rd second I was at 60 and the 4th second 90. The RS7 is incredibly fast and I was not even pushing it because I want to break it in somewhat. What a car! Now that's an opening act!!!!!!! Drive it like you stole it!! !